Are you ready to explore London, Paris and Berlin, the 3 biggest cities of Europe? If you have ever visited you should have noticed the graffiti especially in subways. Cash Vandal the latest Play’n Go online slot is all about the graffiti vandals, as some would call them, some others might say it’s street art. Play’n Go has kept this video slot reels very simple when compared to other video slot produced by this game developers and other recent slot released by major casino games developers. Cash Vandal is a 4 reel, 3 row with 10 fixed paying lines, but it is a HIGH volatility slot, with a return to player (RTP) set to 96.47% and a possible maximum win set to €500,000 or equivalent. 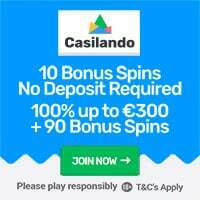 Players can choose to bet from as little as €0.10 up to a maximum bet of €100 on each spin. Although Cash Vandal video slot layout looks very simple, players will be amazed by the extensive game features that it holds. When the Golden Can Symbol lands on 4th reel, a re-spin is triggered and the 4th reel will be held with the current symbols. If the Golden Can Symbol lands on the 4th reel and another Spray Can lands on any other reel (even during re-spin), the 4th reel will become a stacked wild and the first 2 reels will trigger the City Feature. Berlin: 2 or 3 Wild symbols are randomly placed on the 1st, 2nd and 3rd reels. 3 Spray Cans + Golden Can Symbols: 10 Free Rounds. When the Free Spins are activated players will get to choose the City they wish to play in, which means the respective City Feature will be activated during the rounds. It is possible to get more Free Rounds during Free Spin mode, when 3 or more Spray cans lands on the reels. The rounds continues until all free spins are consumed. 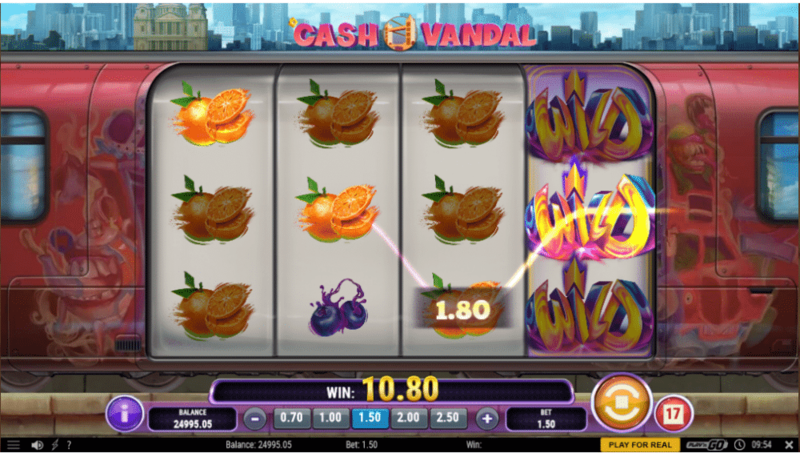 Cash Vandal video slot was released by Play’n Go on the 12th of March 2019. In my opinion this online slot has a lot to offer and will surely keep the suspance of the players high, yet it is very simple and easy to understand! Overall, I am expecting that this video slot will become highly popular amoung players. Feel free to add your feed back, by registring an account and send your comments. 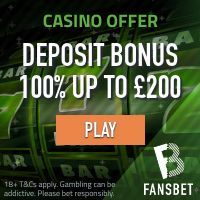 Recommended: Get 200% up to £€$500 + 100 Extra Spins on the first deposit!